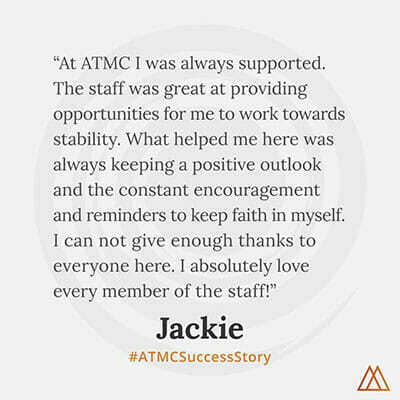 This entry was posted in Antipsychotic, Success Story on May 18, 2015 by ATMC Team. Fortunately for me, my family convinced me to choose rehab … I am now soon approaching my 3 year clean and sober date as well as 3 YEARS COMPLETELY MED FREE. Well, I used street drugs for the better part of 18 years. Mostly meth, but my real drug of choice was “more”. Two years after I started using, at the age of 23, I began my 16 year spiral of psych medications. I have been diagnosed everything from multiple personality to paranoid schizophrenic to sociopath to bi-polar manic depressive on an ultra rapid cycle. I had been duped into believing that this was just my lot in life and the cards I’d been dealt and that I in fact was SMI ( severely mentally ill ) and would have to be on these medications for the rest of my life..This did NOT inspire me to stop using drugs and in fact kept me using because some days I couldn’t even get out of bed due to being just so sedated. I had let my life get into such a bad way that I had to make the choice of going to rehab or going to prison for 7 years. When I first arrived at Alternative to Meds Center, even though I had been sober and med free for close to 5 weeks I was still going though severe psychiatric medication withdrawal. I had been on Abilify for mood stabilization, Lithium as well, Haldol to prevent my severe night terrors that I had since I was very young, and also Risperidal for some reason I can’t remember. In addition to all of these antipsychotic medications, I was also on Cogentin and Benzotropine to help combat all the side effects like tardive dyskinesia from these medications. I also was withdrawing from high doses of Xanax and Klonopin as well as Paxil, Wellbutrin, and Trazadone. Needless to say when I arrived at Alternative to Meds Center I wasn’t a “happy camper”. I’m fairly certain that the staff was scared to death of me as I projected the energy of a cornered pit bull. But once I acclimated and embraced all that Alternative to Meds Center had to offer I really began to see this place and its wondrous opportunities that it had for me to take advantage of. And so I did. I jumped head long into my program that was court ordered to be 6 months and my daily mantra became “I’m in it to win it”. My most important and valuable lesson was learning that I am worthy and to love myself. I love that not only did they help me get off all of said medications, but they educated me on just exactly what those medications actually do to the human body and how they work. And how all of this can be remedied with Orthomolecular Medicine and Amino Acid Therapies. Of course, 2 hours a day in the sauna wasn’t awesome in the beginning, but I soon came to love it as well. Along with countless groups and activities that have proven to have fueled my recovery. Did I mention that the Nutritional aspect of this program also was a godsend. Something that I never ever thought would be possible in my life. Every day that I wake up now, I’m truly grateful and blessed for having been given the opportunity such as this. 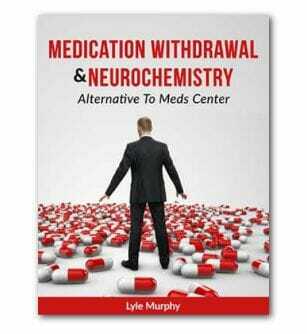 Alternative to Meds Center not only gave me my life back, it gave ME back.